Today I had a fashion emergency. My zipper split while I was in a dressing room, out for a quick shopping trip. This easily could have been avoided. I had trouble with this zipper just a few hours earlier, and that was my warning sign. The idiot light of zippers, saying that I am on my last leg and will fail the next time you zip me, was flashing brightly. I wore the dress anyway. What did I do? Fortunately, I was at one of my favorite stores so I walked out (in one of the items I was trying on) and picked out a sale dress in my size that I knew would fit me. I discretely told the sales girl that I would buy the sale dress and to remove the security tag so I could wear it out of the store. 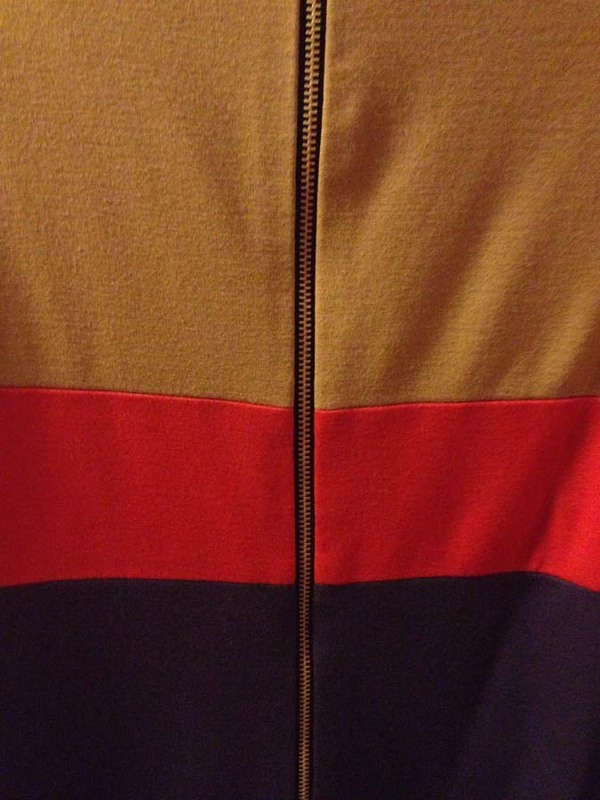 What can I do with a stuck or tight Zipper? Run a pencil or soap along the zipper teeth (works best on a closed zipper) to lubricate the teeth to zip or unzip. This reminds me why I hate nylon zippers, especially hidden zippers. These are usually cheap nylon zippers. Zippers function best when they are zipped long & lean, any “Y” in the zipper may lead to damage. The cheaper the zipper materials the shorter the lifespan and the more likely, and sooner, the damage where it can no longer be worn. In my case, the zipper started showing signs of wear this morning, and I should have better examined it for broken/bent teeth and damage before wearing it out the door. 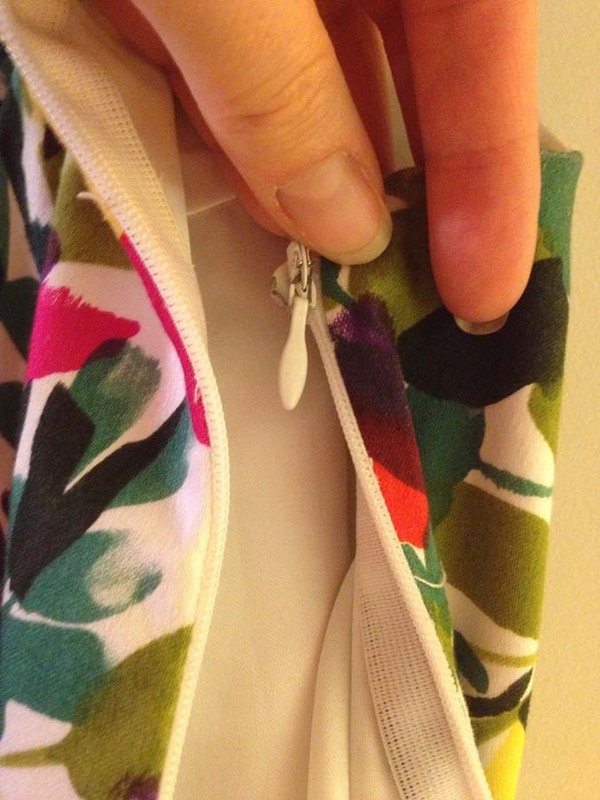 Higher-end manufacturers are using metal zippers which last much longer and are more difficult to break. Exposed metal zippers are very popular right now. These are higher quality zippers that can handle more “zips” and stress. 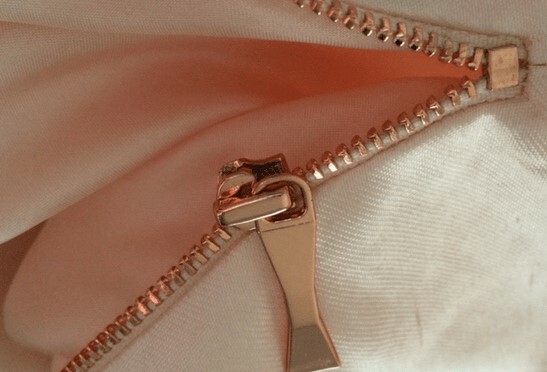 When comparing garments, a metal zippers is worth the extra 10-20% price over a similar garment with nylon zipper. And can save you potential embarrassment and nuisance factor of a broken zipper!